Several hours of downpours was enough to immerse the heart of the southern Russian city of Novorossiysk in fast-moving, waist-high currents, leaving bystanders to record small acts of heroism and collect the fish that washed up once the waters receded. In one video, a preternaturally unperturbed girl sings “We are swimming!” as her father’s car floats through the splashing water. She is similarly blasé when the vehicle then comes upon a group of panicked citizens who are worried that a cyclist knocked unconscious by the drift is trapped in the flood. “Is he at least alive?” asks the girl, once the lycra-clad man is extracted and given first aid. “Come on man, don’t die.” Local media later reported that the cyclist did, indeed, make it out alive. Other videos have a more apocalyptic feel, as straggling residents come together in small bands to save their cars and possessions, while spilt industrial liquids float on top of the muddy water and army vehicles attempt to restore order. But once the floods receded, in another quasi-Biblical turn, entire schools of fish were left ashore, to be collected and presumably eaten by the locals. 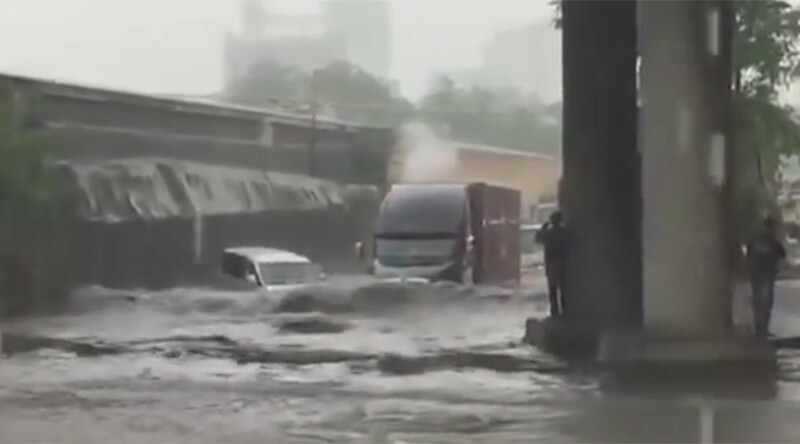 Authorities in the city of 250,000 have been criticized for the emergency, which was produced not only by dramatic weather, but also by the failure of Soviet-era drainage systems.